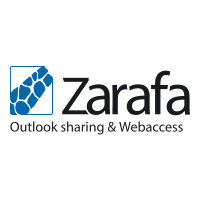 A future where Zarafa plan to deliver numerous communication tools from one interface. Read the blog post ZTour 2014: Recap Part I: Innovations in the next 6 months to find out which coming innovations are the most exciting for you. Also watch the Zarafa Tour 2014 Aftermovie to hear and see some of the customer excitement! You can now also view the Zarafa Tour presentations if you could not attend the event or want to share the information with colleagues!